Clear Printed Indoor Pipe ID Tape- Campbell International Specialist Tapes. Size: 144mm x 33m Colour: Black arrows on clear. .. 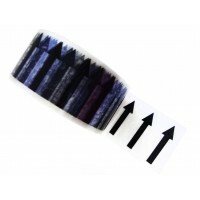 Size: 48mm x 33m Colour: Black arrows on clear. ..